BEST IN THE MIX: Have You Been Listening? 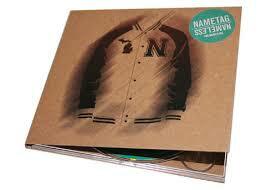 Nametag & Nameless - For Namesake: Initially I had no clue about this duo out of Detroit, Michigan. The main reasons I picked it up were because first off the album dropped on Brick Records, which has seen some beasts by the likes of Statik Selektah, Termanology, and Reks. Secondly, these cats are from Detroit. Where I'm concerned, if you are out of Michigan, I'll give you a shot on faith. Any state home to: Black Milk, Guilty Simpson, J-Dilla, Eminem, or Clear Soul Forces, clearly has a handle on what they do. With Nameless on the beats and Nametag handling verses, the album didn't disappoint. The tracks Hookless and May Day are examples of that thick boom bap sound that anyone following Detroit hip hop will recognize right off the bat. Not to be outdone by the beats Nameless laid down, Nametag brings his A- game and matches their level. Check the track The Teacher to check this cat's ability to go deep lyrically. 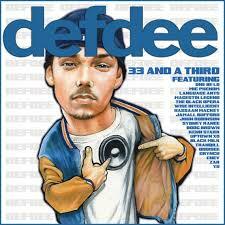 Def Dee - 33 And A Third: Let me put this out there now; there will be plenty of times throughout this post where I will tell you straight up I didn't know of an artist, but took a chance on them for one reason or another. Having said that, I had no clue who Def Dee was. I do know the label Mello Music Group, which 33 And A Third was released on. I also know of: yU, Oddisee, Magestik Legend, X.O.,and Wise Intelligent, all of whom flow over Def Dee's production on the album. And most importantly, did you check that album cover??? For real, dude had a speaker for a heart. Anyway, it's a good play all the way through. The track Errybody Bent reminds me of that old Busta track, Get Out. He's got a track on there called Lonely Eyes that has a will.I.am feel before dude went all George Jetson. The track Coke Nda Canine gives a good vibe for the feel of the rest of the album. It's the only track I could find a link to so if you feeling it, go give the rest of the album a listen. 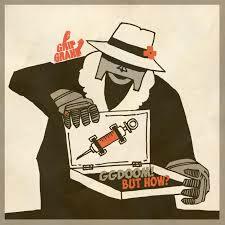 Seriously, if you are a MF DOOM fan then this is a must. Jive Tukeys was the lead single but my personal favorite is the track right now is But How? (Jesus Pizzas). It's 7 tracks deep, just enough to make you hope this isn't the last remix project Grip Grand undertakes. 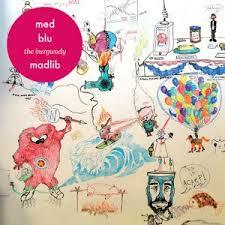 Madlib, Blu & MED - The Burgundy EP: This EP just screams Southern Cali. The beat Madlib cooked up on Burgundy Whip was so smooth that to this day I still don't believe it. Blu and MED killed this track effortlessly. While I don't like all of Blu's stuff, when he is on there is no denying it. Blu was on when it comes to this joint. Belly Full is a decent offering off this EP as well and features producer/MC Black Spade. If you don't know Mr. Spade and you dig Madlib's work, I'd suggest you go look him up. You might like what you find. 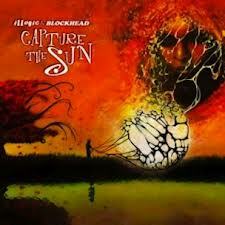 Illogic & Blockhead - Capture The Sun: Illogic has been a busy man as of late. This release is one of two he has on my list. Illogic and Blockhead teamed up on this project and the result was pretty dope. 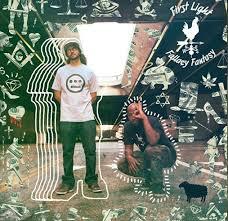 Blockhead has been around for a while, admittedly I am most familiar with him from his work with Aesop Rock. This album is definitely one of those that you have to run through a few times to fully appreciate the beats as well as the rhymes. The intro track Neva Heard gives listeners a taste of what's in store throughout the album. Capture The Sun showcases two artists that have mastered what they do and come together to create a unique experience. The title track Capture The Sun and Live From The Horizon as well as the rest of the album has the feel of something you play early in the morning. 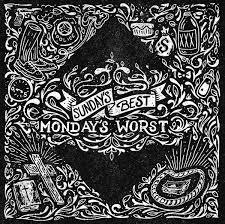 Definitely a soundtrack to start off a mellow day. 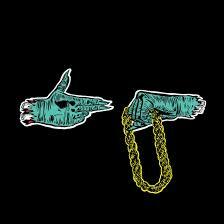 Killer Mike & El-P - Run The Jewels: Another big deal this year that I'm sure a lot of you already know about. 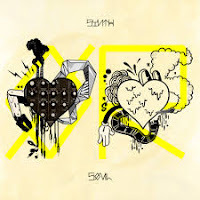 Killer Mike & El-P blew everyone's mind last year when they collaborated on Killer Mike's R.A.P. Music last year. They kept the chemistry going on their self titled Run The Jewels album and I can pretty much guarantee it is going to be on quite a few Top 10 Releases of 2013. From the Adult Swim showcased 36" Chain to Banana Clipper with ATLien Big Boi, this album bangs with no apologies. Seriously, when it came to these two cats making music together, let alone albums, I never saw it coming. If you need any more convincing, check the tracks Sea Legs and DDFH. 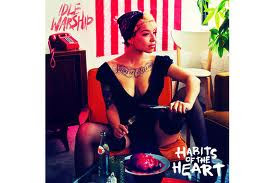 Idle Warship - Habits Of The Heart: Okay, so I don't know what I was doing that I didn't hear about this album until fairly recent. While I was waiting for Talib Kweli to drop Prisoner Of Conscious I happened along this. Apparently, Singer Res and Talib got together and laid this down. I went in thinking that Talib only had bit parts here and there and man, was I wrong. They were a full fledged duo and the album is pretty incredible. The track Enemy caught my attention but the entire thing is this funky, neo soul, hip hop, electric creation that meshes a lot together and makes something fantastic. FYI, If you can find the track Are You In, that is my jam off this album these days. 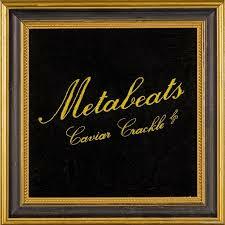 Metabeats - Caviar Crackle: Here is another example of me having no clue who someone is. I took this leap of faith because Luke Menace co-signed this release. (Shout out to Conspiracy Worldwide Radio) This UK producer has some familiar rhymesayers from this side of the pond as well as emcees I can only assume are well know in the UK spitting over his beats. From Action Bronson on Hookers and Oddisee featured on the track Music (Pt. 2) to Dubbledge on Fire and EyeSeeYou, the album bounces between a 90's East Coast bounce and a slightly futuristic appeal. The album is a good introduction to who Metabeats is as a producer. M-Phazes - The Works: Another international producer blessing your earholes by way of Australia. Of the two internationally produced albums in this post, this one is my favorite. The Works is a collection of songs M-Phazes has produced and the line up on this album is stacked. Check this roster: Slaughterhouse, Rah Digga, Pharoahe Monch, Heltah Skeltah, Talib Kweli, Blu, Big K.R.I.T., Mela Machinko, and that's not even everyone on the album. M-Phazes ability to get down and gritty shows on the Slaughterhouse cut Back On The Scene and the track Never Back Down featuring Rah Digga, Fashawn and Reks. M-Phazes also shows he can smooth it out on tracks like Gutter Rainbows with Talib Kweli and Still Standing with Pharoahe Monch and Jill Scott. Go get this album. 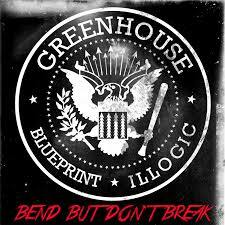 Greenhouse - Bend But Don't Break: Blueprint and Illogic have been running together for some time now as the team Greenhouse. On their Bend But Don't Break release, they make sure the uninitiated do not mistake them as newcomers. The album is filled with dope lyrics and head nods that will definitely have some going back to see what they may have missed from these two. Check the track This Is It. From the jump these guys grab a hold of your ears and let it be known this album and this team are not to be taken lightly by any means. Demigodz - Killmatic: This album was long in the making. Having dropped their first release as a collective back in 2001, the makeup of Demigodz has changed somewhat. This go round are emcees: Apathy, Ryu, Motive, Blacastan, Esoteric, and Celph Titled. What hasn't changed is their ability to rain fire over beats. With tracks like the Rocky themed Demigodz Is Back, the ode to old school fashion Raiders Cap, and Dead In The Middle with one hell of a Big Pun sample, the Godz bless us with an album that is not for the faint of heart, or hearing for that matter. Throw in guest verses from Termanology and one of the dopest emcees to ever rock a dress, Eternia, and there is no reason not to own this album. Black Milk - Synth Or Soul: Out of nowhere Black Milk dropped this instrumental album earlier this year. While I'm not too big on instrumental albums, Black has a way of making a beat that makes you nod your head before you realize it. These tracks are no exception. Tracks like Higgs Boson and Heaven's Cry had me waiting for the verse to come in before I remembered it was all instrumentals. First Light - Fallacy Fantasy: Whether separately or as a unit, the Hieroglyphics crew has been laying down some serious music for a long time now. From the many manifestations of Del to Casual and everything in between, the Hiero crew continues to make music that shows why they are some of the best to do it. Pep Love and Opio as First Light are no exceptions. Pure West Coast flavor all day. Check the track Greetings and Mission for a taste of how First Light gets down, or for a guest appearance from the Hiero crew, peep the posse cut Lighters. MidaZ The Beast - AU: Now, I knew of MidaZ, but I really didn't know much of his work. Main reason I picked this up was because IMAKEMADBEATS did some production on the album and Mr. BEATS is a monster when it comes to production. Real talk, he is the main reason I was waiting for the album to drop. I knew if they were associated with one another, then this album would be one to get. I am glad I did get this one. Not only does IMAKEMADBEATS have production credits on MidaZ's debut but there are also tracks done by: Oh No, Paten Locke, TzariZM, and the man himself, Marco Polo. MidaZ is a monster of an emcee and this is one hell of a debut. Even though this album is technically his debut, don't think that MidaZ is a new face by any means. Any questions about his skills can be answered by the tracks Champion Of The Block, Will To Fly, or the Marco Polo produced Fire. 'Nuff said. 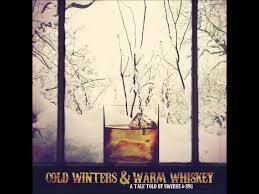 Swerve & SYG - Cold Winters & Warm Whiskey: I heard a track this duo this year called Don't Judge off of their mixtape Cold Winters & Warm Whiskey 2 and it made me wonder why I hadn't heard about the first Cold Winters. After some searching found and scooped up Cold Winters & Warm Whiskey. This album is definitely for those days where you and your favorite bottle are deep in thought. It's got a mellow, jazzy sound and lyrics that are easy to relate to. The track True Story is reminiscent of A Tribe Called Quest a la Low End Theory and the track Will It All Work Out has that same type of feel. 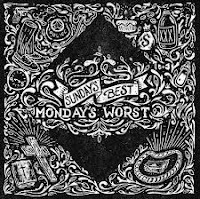 Whether they flow solo or trade rhymes over a beat, this album is definitely a chill and reflective mood setter. 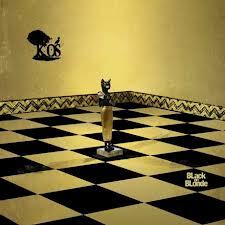 k-Os - BLack On BLonde: I've been rolling with k-Os for a hot minute now. Since his debut Exit, this Canadian musician has this knack for meshing live instrumentation and old school samples over his beats, making for some really good music. BLack On BLonde, while not his best album in my opinion, is still a good run. He's got a mix of hip hop songs and songs that have a rock feel, but I hesitate to call them rock songs. If you haven't peeped his work yet then this is a good introduction to his sound. One of my favorite tracks off this album right now is Spraying My Pen with Canadian big shots Saukrates and Shad. This is definitely one of the best collaborations this year. The tracks Don't Touch and Play This Game are examples of his more rock influenced jams. His rock side may not be everyone's cup of tea, but if you have a wide variety of music you listen to, you'll probably dig it. 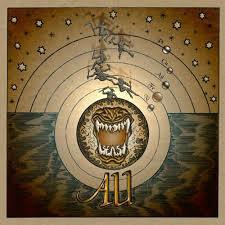 Thundercat - Apocalypse: Real talk, I have no idea why I copped this one. 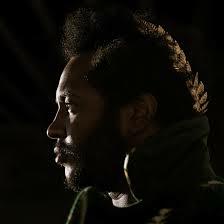 Maybe it was his haircut on the cover, maybe it was the fact he called himself Thundercat. I couldn't tell you. What I can tell you is this spacey R&B crooner has got the goods. The album sounds like it could have been off a B-Side soundtrack from the movie Tron. Check the track Heartbreaks + Setbacks; see what I mean? The joint Without You has this weird intro but just draws you in the more you listen. When you break down everything about this album: dude singing in falsetto, minimal spacey beats, R&B doo wop stylings, there is no reason why this album should work. But it does; very well I might add. 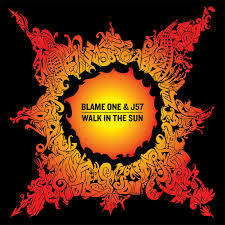 Blame One & J57 - Walk In The Sun: First time I heard Blame One was on the album did with Exile called Days Chasing Days. This San Francisco cat has crazy flow so I kept checking for him. Producer J57 is of Fat Beats fame. The story goes Blame One found out Fat Beats was closing their doors and these two decided to get together and put an album out. The result is a good ol' East Coast/West Coast collaboration. J57 brings that East Coast boom bap and Blame One blesses each track lyrically. Check the tracks Circuit Overload and The Movement to hear how good these two vibe off each other. This is some of that "catch a whiplash from nodding your head" type music. And if you can't catch a feeling off of the track How Much Time's Left, then you might just need an intervention. 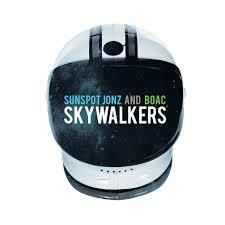 Sunspot Jonz & BOAC - Skywalkers: This album is one hell of a fun album. It is also another best release to drop this year. Now, while I have no clue who BOAC is as a producer, I took a chance on him because Living Legend Sunspot Jonz had his whole album produced by him. After listening to Skywalkers, I will be checking for more of his production. Whether it's the upbeat Smiling, the stoner anthem We High or the party starting Go, BOAC flexed a wide range of styles. Sunspot, as usual, was able to get on the beats and just put down what felt. The album isn't short either, clocking in at 21 tracks, 19 of them being actual songs. 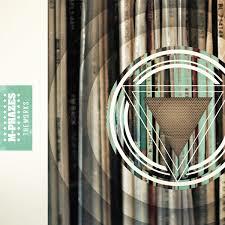 Granted, the album does ply a little long but whatever, it is going to take a while to get bored with this album. And there it is. I know it's a lot and like I said, I'm pretty sure that quite a few of these aren't new to all of you. But if you ran across something you missed or you are looking for something you haven't heard yet, then hopefully this steers you in a good direction. While I have no clue where in the world I'll be, please believe you will always find me on Best In The Mix. Until next time. One.